For the second time in a year, a court ordered the government to reinstate court clerk Maude Villiard in the Sorel-Tracy courthouse. 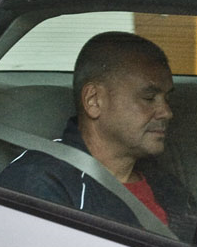 Hired in 2006, Villiard could exercise the powers of a justice of the peace by authorizing search warrants at the request of police officers. In November 2012 she was dismissed on the grounds that she was in a relationship with Claude Vallée, a man whom the Sûreté du Québec considered close to the Hells Angels. Éric Bouffard in October 2009. He was seen at the Trois-Rivières clubhouse, at the funeral of a motorcycle rider and at a boxing gala with full patch Eric "Boubou" Bouffard. The employer considered that this relationship was "incompatible" with the duties she held, "in particular because of her access to privileged information". The arbitrator noted that the spouse is "not a member" of the motorcycle gang and has "had no complaint on his [criminal] record since 1990." 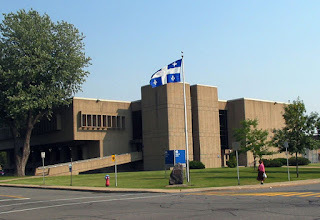 Dismissals related to criminal activity are frequent in the Quebec public sector. 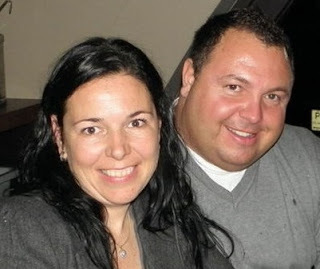 Last year the Laval police were forced to reinstate a civilian employee who had been fired after being seen at a restaurant with members of the Brotherhood, a puppet club of the Hells Angels. 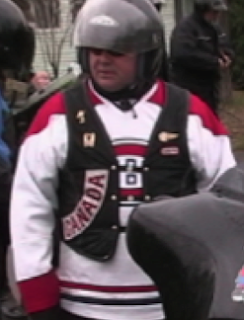 While under surveilance by the Sûreté du Québec in 2009, Bouffard dialed a Hells Angels in British Columbia. When the latter responds, Bouffard is said to say "that he has sold drugs all his life".